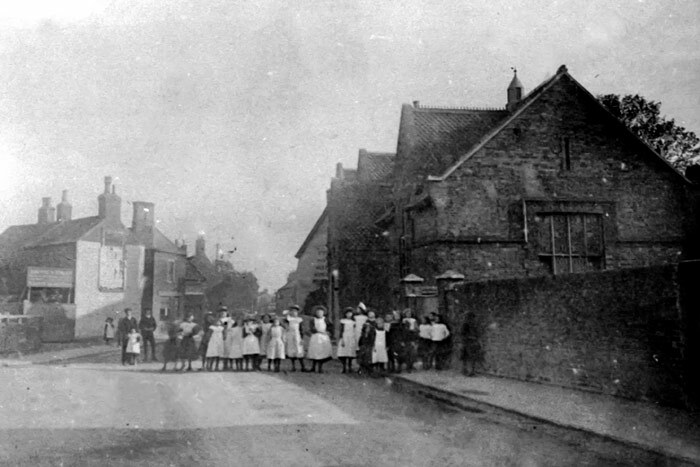 A very early image showing Whittlesey Girls School around 1900. The school was located at the junction of Low Cross and West End. The school opened in 1850 and was still operating, albeit in an overcrowded and run down state in the 1940s. In late 1947, the Ministry of Education agreed to build the Sir Harry Smith School to replace both the Girls School and the Station Road Boys School. Construction of the Sir Harry Smith School started in August 1950 and by the end of 1953, the old Girls School had closed. The building remained in use as the Broad Street Infants School until Park Lane Primary School was built in 1968, when it was finally demolished to widen the road.